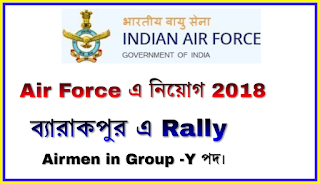 Air Force Recruitment Rally for Airmen in Group-Y at Barrackpore, West Bengal. বিজ্ঞপ্তি নম্বর :- Not specified. আবেদন শুরু হবে :- 25 sep 2018. আবেদন এর শেষ তারিখ:- 30 sep 2018. নিয়োগ কারী সংস্থা:- Indian Air Force. ◆Chest - minimum expansion of 5 cm. ◆Weight- proportionate to height & age. ◆weight:- proportionate to height & age. নির্বাচন পদ্ধতি:- Physical Fitness Test, Written Test, Adoptability Test, Medical Examination, & Document Verification. 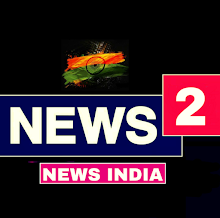 Date:- 25/09/2018 to 30/09/2018 (6:00 am onwards). 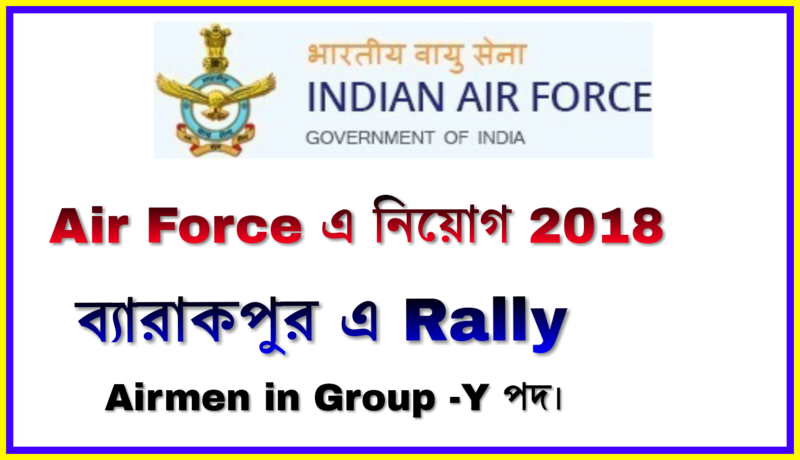 Venue:- 4 airmen Selection centre,(Near palta Gate), Air Force station Barrackpore,24 parganas (North) West Bengal- 743122.